Amsterdam the city of… weed? The sad thing is so many people do not even know the treasures that Amsterdam holds because all they can think about is the taboo culture of prostitutes and the “space cakes” that they have. Truth be told, Amsterdam is one of my favorite cities that I have visited. There is something in the air (and no it is not the smell of weed) that makes it calming. It may be the buzz coming from the many people riding their bikes, the tulip smell in the air, or even the hum of the boats going around the canals. If you’re thinking of going to Amsterdam (which I highly, highly recommend) I have some suggestions that you may not want to overlook when you go on your trip. 1. Anne Frank Huis Honestly, I did not even know that this was located in Amsterdam until I saw the movie “The Fault in Our Stars”. The Anne Frank Huis is such a simple but moving experience that I suggest for everyone to go to. Walking up the steep stairs and being inside the crowded rooms puts into perspective what Anne went through. Sometimes it is hard to comprehend the difficulties that the Jewish had to go through during the holocaust. One of my favorite parts of going through the museum was the reaction of the celebrities and others after the tour in a short video. They had a short clip from John Greene, the author of The Fault in Our Stars, and a passage from the novel. In that passage the main character, Hazel Grace Lancaster, commented that there were so many other people who lost their lives that didn’t have any monument or museum made after them. While going through the museum the idea of 6 million people losing their lives was almost inconceivable to me. 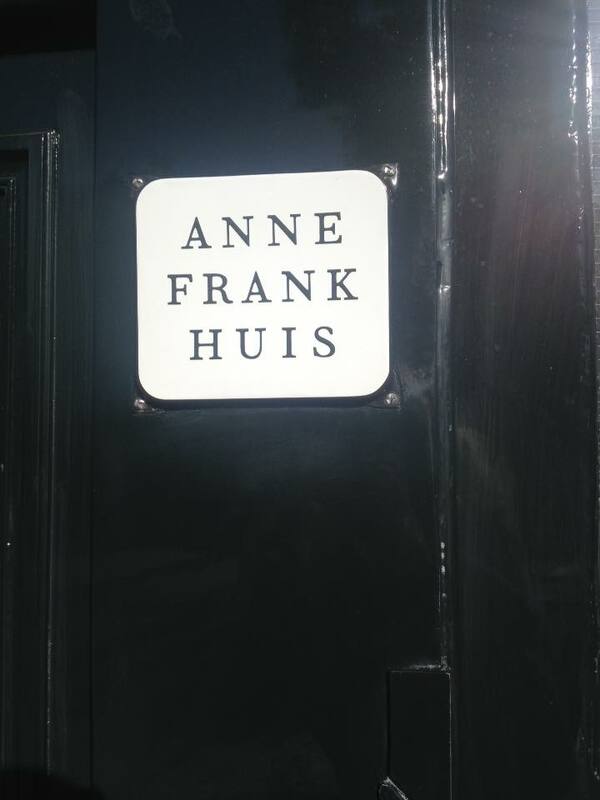 I could talk about this place itself for a whole blog post but to summarize: if you are in Amsterdam, make it a priority to go to the Anne Frank Huis. If you want to be there before the lines I highly suggest getting there at least an hour before it opens at 8:00 am. There is a coffee and bagel shop right next door that can make waiting in the cold just a little bit easier. 2. Canal Tour The best way to be able to see most of the city is to take a canal tour. The different canals are endless and there is so much of Amsterdam that you will not be able to see. This allows you to be able to see most, if not all, of the different roads in Amsterdam. There are a variety of different tours including day ones and night ones. I suggest if you are interested in seeing the city and the various architecture lining the different streets to take the daytime one. If you are with your significant other and want something more romantic then I would suggest taking a night time one. They usually will sell a glass of champagne and other drinks while on the tour. 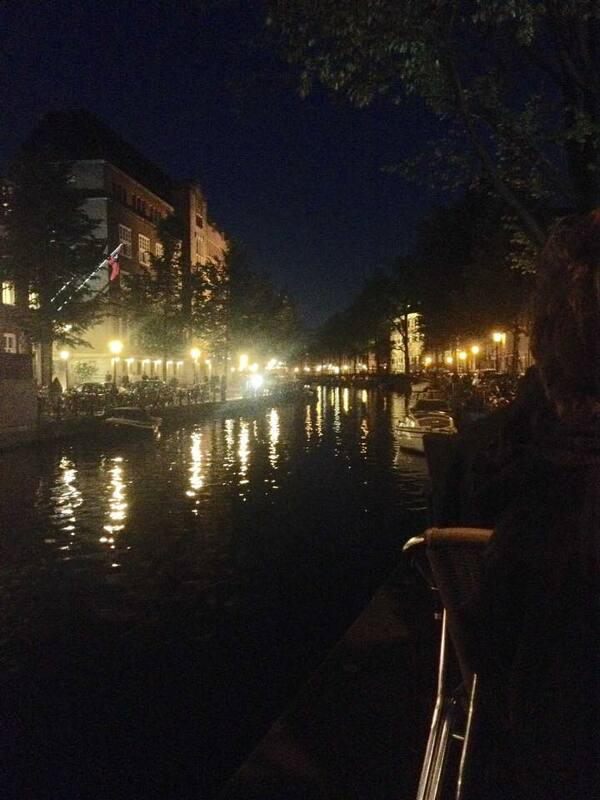 The lamplit streets of Amsterdam at night are incomparable to any other. If you are not sure about wanting to spend the money on solely a tour, you can usually buy tickets and be transported to various parts of the city on a boat. This way you do not have to buy a bus pass and you can still get to where you want to go. 3. Stedilijk Museum Located in a very central area this museum is a must see. Close to the I Amsterdam sign and Van Gough museum, this museum has a lot to offer. 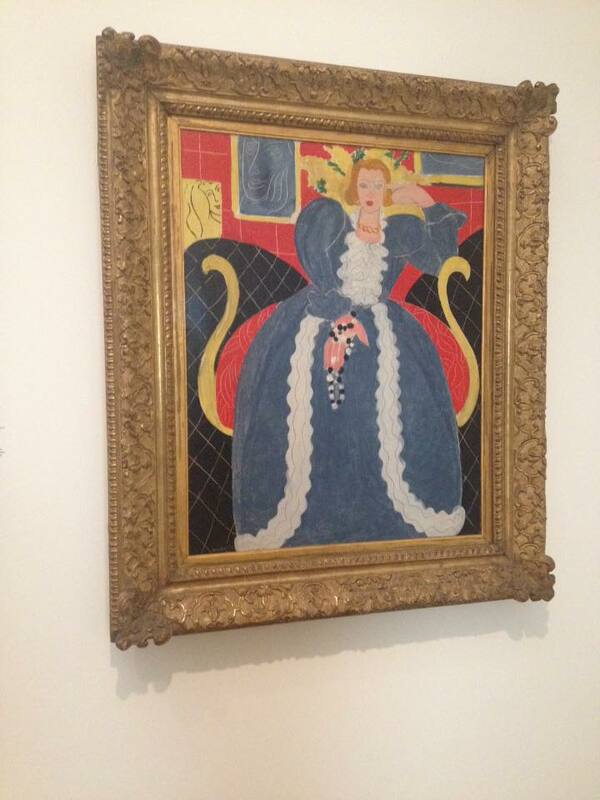 Not only does it have paintings from Chagall, Picasso, Van Gough, but there is also a huge exhibition on Matisse. It is easy to spend hours just walking around the different parts of the museum. In my personal opinion, this museum is the best to go to if you want to be able to see as many different artists as possible. In this museum they also have rare photographs taken during World War II in which most were destroyed because of Nazis. There is one part of the museum which is unlike anything else that I have ever seen. There is a dark room in the museum in which you do not want to miss out on. If you only have the time and the money to go to one museum, make it this one. 4. I Amsterdam sign While it is a very touristy thing to do, it is still something that you do not want to miss while in Amsterdam. 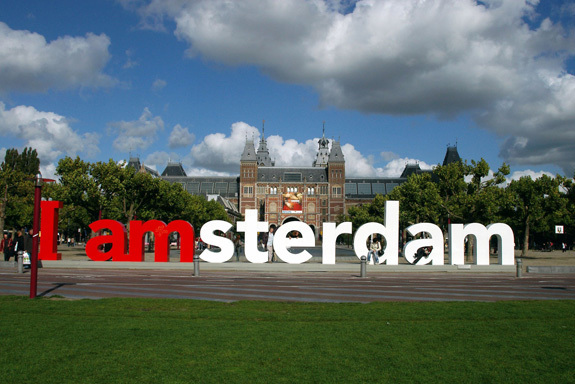 There are two separate pairs of the sign, one that travels to various iconic locations and another that stays stationary in front of the Rijks museum. This is the go to spot if you’re looking for the perfect place to Instagram that you are in Amsterdam. While there, go visit all of the surrounding parks and the market place. The market place sells everything you could want from waffles, to necklaces, to tickets for attractions. This would be a nice area if you’re looking for a place to have a picnic or a resting place in between all of the different museum trips. If you want a picture of just yourself there (it is a very common local hangout spot!) be sure to get there early in the morning. 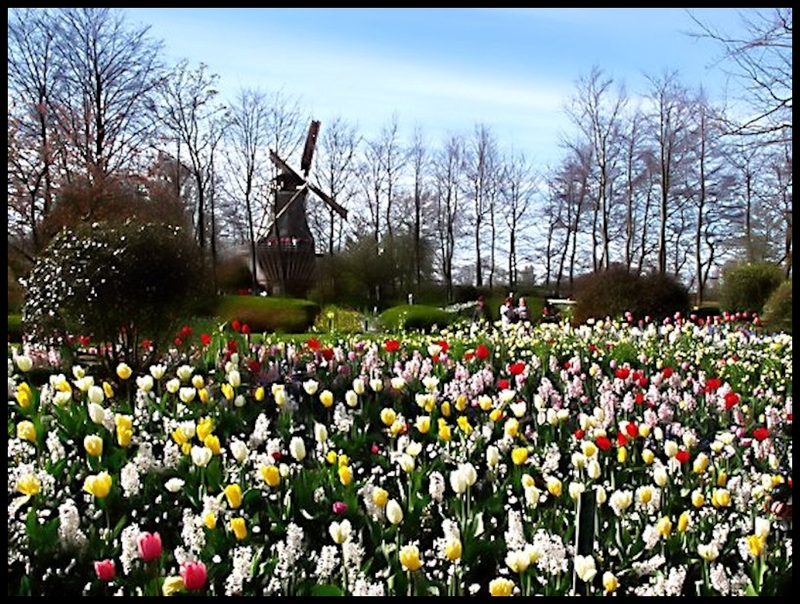 In Amsterdam it will be a little hard to find the picturesque landscapes of the windmills and tulips, so make sure to book a tour or find someone who knows where to go. Tulips are the national flower of Holland, so it is everywhere you just have to go a little more into the countryside to see those spots. I would suggest going early in the morning for this as well just so other people won’t be there when you are there as well. This does not even begin to sum up the other great locations that are in Amsterdam. I will be publishing another post later with listing more of different places to see in Amsterdam since I am going back there. If you are there for only 1 or 2 days, I highly suggest visiting these locations to get the full effect of the city. Spend a week there and see the beauty in the city. It is the perfect combination of comfort and fun.